Commencement student speaker and DukeEngage Alum, Elena Elliott '17. 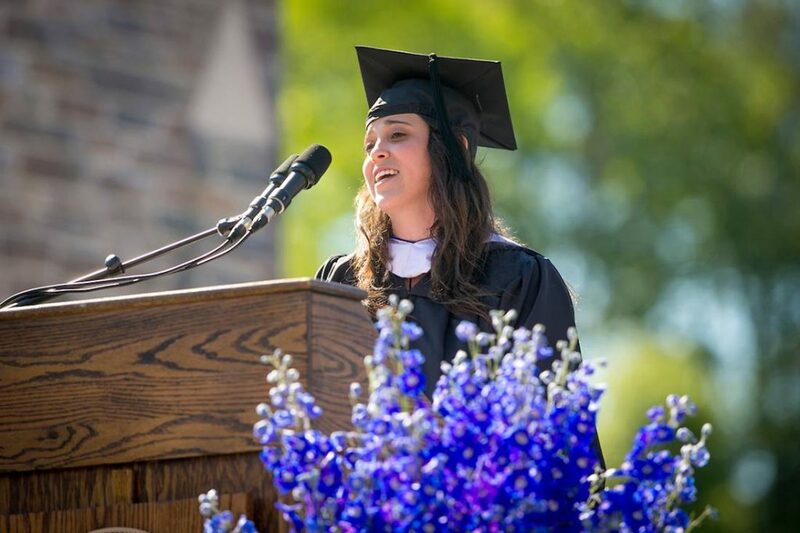 Commencement student speaker and DukeEngage Alum, Elena Elliott ’17, delivered a moving message to the class of 2017 at this year’s commencement ceremony. The speech was acknowledged on Duke Today’s website. During her address, Elliott spoke of her family’s history and how it impacted her path to attending and graduating from Duke University. She encouraged her classmates and colleagues to use their education and accomplishments to help others just as others have helped them. Elliott participated in DukeEngage-Colombia in 2014. Read Elliott’s Remarks.